City Garden Suites Manila, one of the most affordable hotels, saves soon-to-wed couples from such additional headache. It offers couples a wedding preparation, ceremony, and reception venue that is conveniently located within Manila’s commercial and business establishments. What’s more, their facilities and Philippine wedding packages exhibit excellent combination of affordability and luxury, something newlywed couples truly deserve. Established in 1992, City Garden Suites is one of the most preferred Standard Class Manila hotels for Philippine wedding receptions. 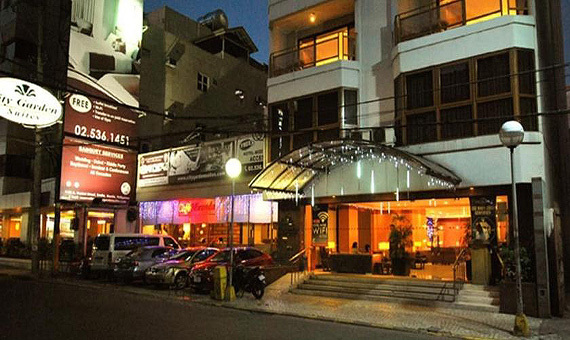 Located at the heart of Ermita, it is very near to known Catholic churches in Manila City. The nearest is the Nuestra Senora de Guia, popularly known as Ermita Church. The Our Lady of Remedies Parish (Malate Catholic Church), and St. Pancratius Chapel (Paco Park Church) are less than 10 minutes away. Two other popular churches for wedding, the San Agustin Church and the Manila Cathedral, are just fifteen minutes away from the hotel. The hotel has three elegant function rooms named after exotic flowers – Lily, Lilac, and Lavender – that can accommodate up to 50 persons, which make them perfect for intimate affairs. Lily and Lavander, when combined, can accommodate up to 100 persons. The more spacious Lilac can serve as a makeshift ceremony venue. 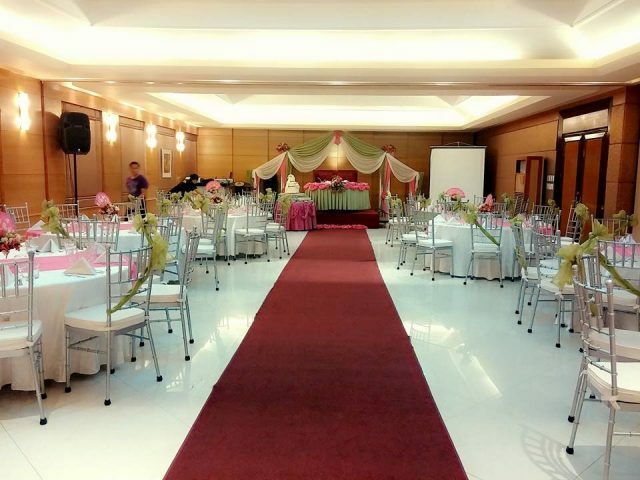 The Lotus Grand Ballroom is the three function rooms combined. It can host a wedding reception with a maximum of 200 guests. Experiencing luxury doesn’t mean breaking the bank. City Garden Suites offers different Philippine wedding packages that would surely fit any couple’s needs and budget. Aside from the function room use and catering service, their basic package for 50 guests already includes an overnight stay for two with breakfast, ceremony dove, wine for ceremonial toasting, guest book, and lights and sound system. For weddings with 100 guests and more, City Garden gives couples a food-tasting session, three-layer fondant cake, chocolate fountain, bubble machine and an elegant bridal car. Affordable rates do not necessarily translate to limited amenities and services. City Garden Suites has always lived up to its commitment to offering excellent service, genuine Filipino hospitality, and value for money. 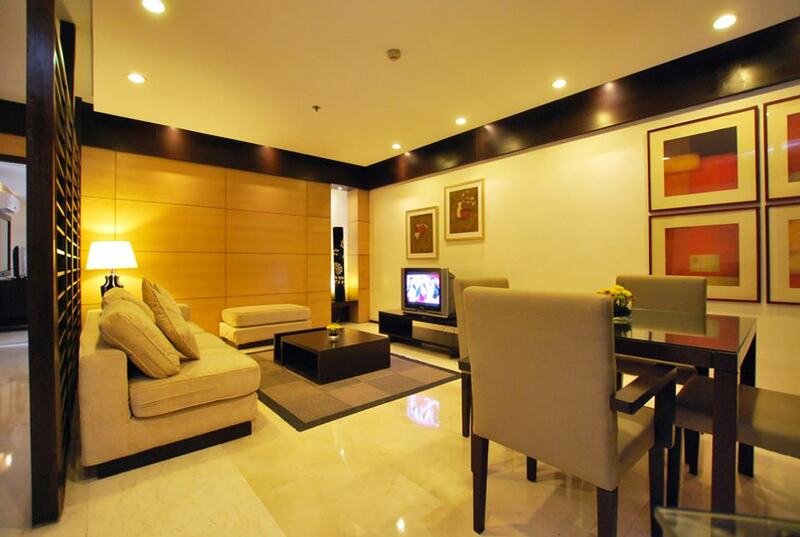 As a testament, City Garden Suites Manila is one of the few three-star hotels accredited by the Department of Tourism. In 2005, it was hailed as the “Outstanding 3-Star Hotel” during the 20th National Consumers Excellence Awards. Happiness should not come with a price tag. City Garden Suites truly lives up to this statement by providing quality service to soon-to-wed couple, making sure that every newlywed couple is happy on their wedding day.